The automated Invitation round data for Skill Select programme successfully completed on 2 September 2013. With the below information you can understand the nature of selection against the point test criteria set by Immigration Department of Australia. The highest ranked clients by points score are invited to apply for the relevant visa. For clients who have equal points scores, the time at which they reached their points score for that subclass referred to as the visa date of effect) determines their order of invitation. Expressions of Interest with earlier dates of effect are invited before later dates. If you wish to compare your Expression of Interest (EOI) against the outcomes of the invitation round, you can check your points score and visa date of effect at any time for all visa subclasses covered by your EOI on the home page of your SkillSelect EOI. 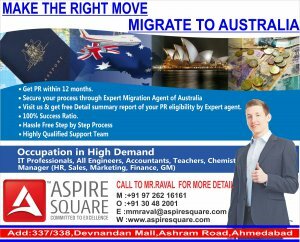 If you are looking forward for your Immigration Process for Australia then you need to get the Invitations from the department. Now the Invitation is the mandatory requirement for lodgement of Application to DIAC. For receiving the Invitation from the department you need to satisfy the threshold criteria set by the department & apply your data on EOI which is an online system. EOI is not an application but from this you need to express your interest with your eligibility & point score.